The design brief was to create a space for work and play. 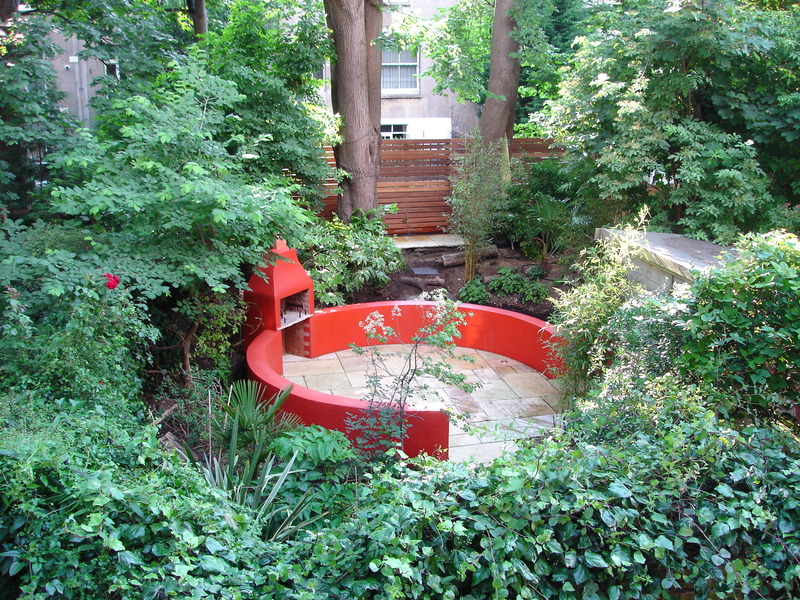 The client works from a garden studio and enjoys playing music in the garden. 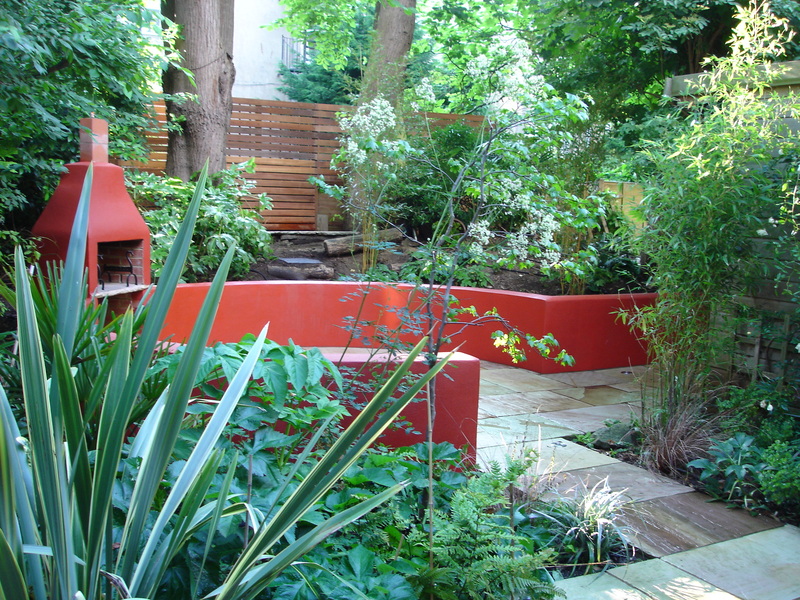 A built in fire/barbecue provides a central focal point for this room outside.